“The North” is simultaneously a location, a direction, and a mystical concept. Although this concept has ancient roots in mythology, folklore, and fairy tales, it continues to resonate today within modern culture. 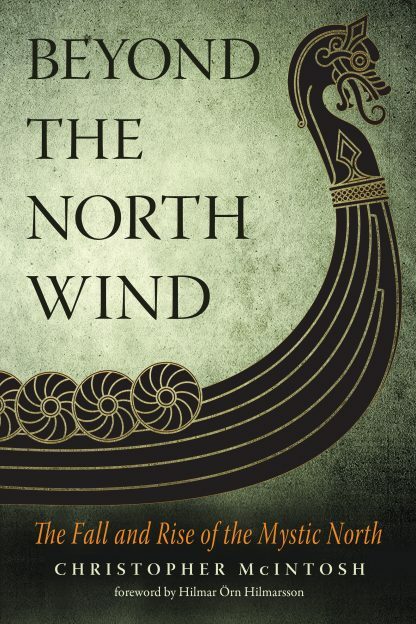 McIntosh leads readers, chapter by chapter, through the magical and spiritual history of the North, as well as its modern manifestations, as documented through physical records, such as runestones and megaliths, but also through mythology and lore. This mythic conception of a unique, powerful, and mysterious Northern civilization was known to the Greeks as “Hyberborea”—the “Land Beyond the North Wind”—which they considered to be the true origin place of their god, Apollo, bringer of civilization. Through the Greeks, this concept of the mythic North would spread throughout Western civilization. In addition, McIntosh discusses Russian Hyperboreanism, which he describes as among “the most influential of the new religions and quasi-religious movements that have sprung up in Russia since the fall of Communism” and which is currently almost unknown in the West. Hilmar Örn Hilmarsson is the Allsherjargoði (high priest) of the Ásatru community of Iceland. He is an internationally celebrated musician and a composer of film music, who has written the scores for such films as Children of Nature, Cold Fever, and In the Cut.